Gladiator sandals are back and they are more powerful than ever! As the shoe of the season they are instant head-turners and if you wanna feel like a goddess or a warrior princess get laced up in summer's gladiator sandal! They will transform your basics from boring to a statement-making look. 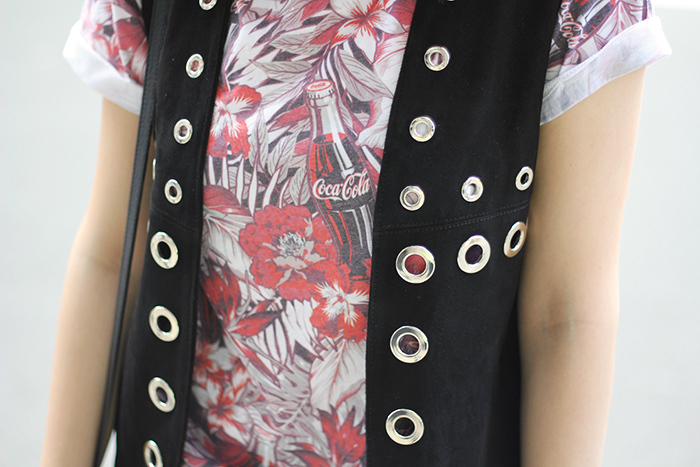 This time I paired them with a denim shorts from Zara, amazing leather vest from MO premi�re? and retro t-shirt from the upcoming Coca-Cola pop up store! The iconic Coca-Cola 'contour' bottle celebrates its 100th birthday this year and to celebrate Coke is opening a pop-up store in Belgrade. So if you are in town from 2nd to 8th July (for more information click here), be sure to visit it and grab some cool items (hint-lip smacker)!